The urinal bag is unisex design.It is great solution disposable urine bags for women,men and kids. A pee bag can hold up to 600 ML.Wide application for long time travel and long drives,nature calls when there is no toilet outside,more beneficial to physical and psychological health. It will take about 50-60 seconds to turn into gel if add water up to 600ML. The gel time will be shorter if less water be added. Warm tips:The disposable urinal bag is soft not rigid, please hold well with hand during using because it is soft,and you can throw it into the garbage bags when liquid turns into gel without leaking. 1.Material: Non-woven Fabrics and PE.Size:9.53 x 5.2 x 0.12 inch. 3.Used for Bus carsick,vomit solidification,traveling,backpacking, camping,hiking,outdoor events. 4.Provide help to people whose action inconvenience caused by injury or disease. 2.Once finished, close the bag,dispose of urinal bag in garbage bags provided and then into waste container. 3.Children should be under the supervision of adults when using the product. 4.Please do not throw into the toilet to avoid clogging. Package includes: 12 disposable urine bags,12 garbage bags and 2 black shelter covers. 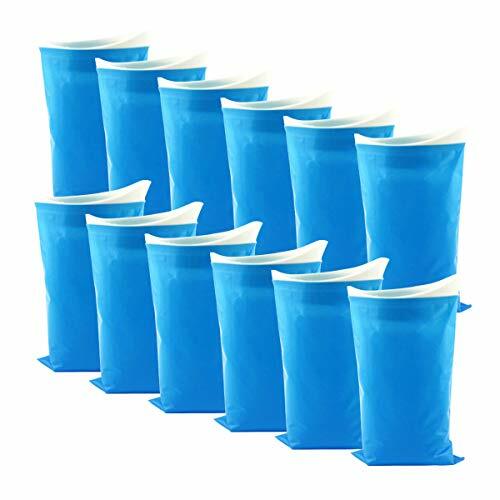 Great Absorbency: The disposable urinal bags contain super absorbent substance which turns liquid into gel rapidly. Portable and Large Capacity: The portable pee bags for travel is about 600ML,easy to carry in your backpack, pocket or glove compartment. Widely Used: Ideal for emergency situation pee,traveling,backpacking,camping,outdoor events,carsickness,especially for traffic jams and long drives. Leakproof: Made from impervious material with internal rapid hardening pad to prevent the leakage. If you have any questions about this product by Jaeske, contact us by completing and submitting the form below. If you are looking for a specif part number, please include it with your message.